In order to make a compelling argument for game-based learning, students need to be able to learn something from games that traditional education cannot provide. James Paul Gee and many other researchers argue that games follow several learning principles that make them better instruments for learning than the traditional classroom structure (Gee 2008). You can read all of them here; however, I have selected a few of them to discuss. First of all, good learning allows the student to be a producer rather than a passive consumer of his own learning. A typical classroom has a teacher that gives a lecture while the student passively listens and takes notes without context or application. However, games are interactive; that is, “when the player does something, the game does something back that encourages the player to act again” (Gee 2008). Their actions shape the game world around them, causing the player to reflect on their decisions and form hypotheses. Therefore, “whereas traditional blackboard learning sees the learner as a passive recipient of knowledge, game-based learning allows…students to become an active member of their education” (Clark 2009). Games also feature inquiry-based learning. They rarely coddle players during the learning curve; instead, games hold players to high expectations, and players must ask questions and engage in experimentation (Gee 2008). For example, the commercial physics-based puzzle game World of Goo does not give any information at the beginning of gameplay. Therefore, “the only way the player can figure out the goal of the level is by engaging in exploratory behaviors, observations, reflections, and continuous hypothesis making and testing” (Shute and Kim in press). Above: The player constructs a bridge to the other side in 2D Boy's World of Goo game. Another learning principle is that each student is different and, therefore, will have a different style of learning. Games allow players to customize their difficulty level or style of play. Students in the traditional classroom may feel material is too hard or too easy, and they cannot try on different learning styles or use another problem solving method without the risk of failing or receiving a bad grade (Squire 2011, McGonigal 2011). Games make it less risky and pleasantly frustrating to fail. Players know the game is possible to beat with enough practice, and “good games adjust challenges and give feedback in such a way that different players feel the game is challenging but doable and that their effort is paying off (Gee 2008). Many games also allow players to win or play in multiple ways, allowing the player to take on challenges with a method that suits their strengths or try a new problem solving approach. For example, in the game Civilization, there are several ways to win. The player can win the space race (technology), take over all the other civilizations (military), fill out five “culture trees” to develop the Utopia project (culture) or win the most votes in the United Nations (diplomacy). Therefore, there are both diplomatic and militaristic approaches. STEM concepts are notorious for quickly and heavily building on each other. Falling behind can be a huge disadvantage for the next lesson; e.g. 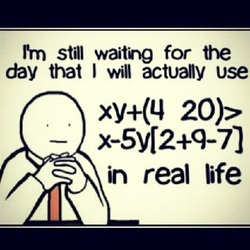 if addition is not learned, learning multiplication will be very difficult. Students in a traditional classroom may not know if they understood a concept correctly until they fail or pass an assignment, which may affect how they feel about a subject. However, games provide instantaneous feedback. When decisions are made in a game, the game will either reward the player for their efforts or they will not advance levels. Until a player understands a specific concept, like static equilibrium in World of Goo, the player will have to keep adjusting his or her strategy according to the game’s feedback until the concept is understood and mastered. Traditional classrooms tend to focus heavily on facts, definitions and isolated events, and another of Gee's learning principle is that “humans are poor at using verbal information when given lots of it out of context and before they can see how it applies in actual situations” (Gee 2008). Games act as learning scaffolds, delivering information to the player just in time when they need to use it. Game designers are constantly considering what the player needs to know for their next challenge; this helps break up content so that facts are learned as a side effect from simply participating in these challenges. 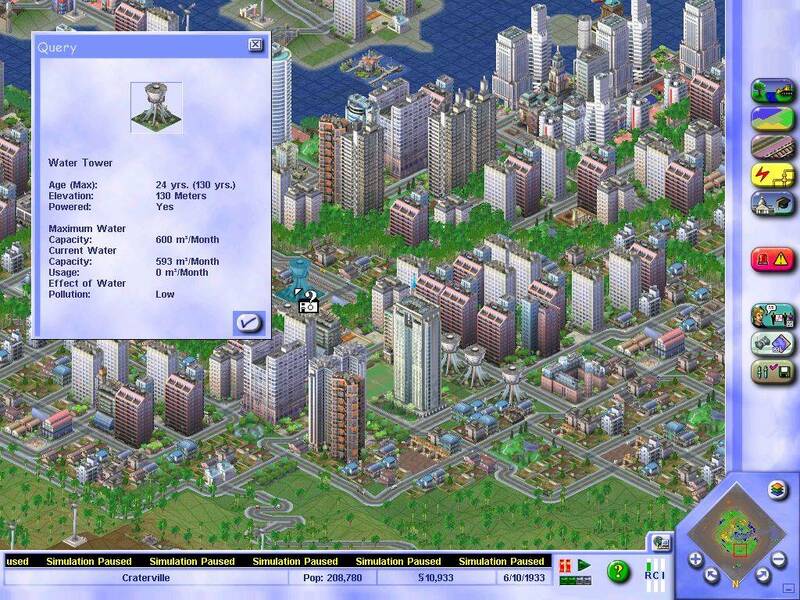 For example, in the popular game SimCity, players come into the game knowing little about city planning. The game does not give the player a lecture or a textbook (although they may have a reference guide), but encourages the player to experiment with commercial and residential zoning and taxation while providing guidance and information whenever the player needs it. Players automatically learn the urban management vocabulary and economics embedded in the game’s design through this experimentation. As players explore their game world, they also create memorable, rich experiences which can be used to retrieve and reflect upon knowledge. They are basically learning by doing, and this is also known as situated learning where “people learn through active experiences and critical interpretation of their experiences via personal reflection and interpersonal discussion” (Shute and Kim in press). Traditional classroom lectures rarely create these meaningful experiences without interactive or hands-on activities. Games use “stories, characters, and other environmental elements that produce a unique experience allowing them [players] to later recall addressed subject matter” (Clark 2009). If these experiences are emotionally stimulating, it also makes knowledge easier to recall (Barab 2009). Games are able to make learning socially relevant. As concepts become more difficult in school, “students no longer see science as connected to the real world and lose interest in the subject” (Honey and Hilton 2010). By participating in an immersive environment or storyline and taking on the role of a scientist or mathematician, players can watch how their knowledge applies in these realistic simulations. This is especially important for mathematics where students see little value to the algebra or calculus they are learning. In Quest Atlantis, a student “takes on the role of statistician, and in-game characters ask the student player to analyze data to determine whether surveillance cameras or an increased police presence will make the virtual town safer. The next time the student returns to this virtual town, he or she may encounter cameras on every building or a police officer on every corner” (Barab 2009). Students can see how their skills and knowledge application can make change and have dynamic consequences which encourages system-thinking. On a similar note, games often challenge players to take on the roles of professionals, allowing players to problem solve with a new frame of reference. These games, often referred to as “epistemic games”, allow students “to learn through participation in authentic recreations of valued work in the world, and thus give educators an opportunity to move beyond disciplines derived from medieval scholarship constituted within schools developed in the industrial revolution” (Shaffer 2006). The Pandora Project challenged students to weigh the benefits and scientific progress against the limitations and ethics of xenotransplantation using their stakeholder’s perspective, which included the federal government, the Animal Rights Coalition, and a biotechnology company (Shaffer 2006). When Shaffer conducted a study around The Pandora Project, he found that “students gave much more extensive answers in the post-test, bringing up the interests of all stakeholders instead of just their opinions or concerns” (Shaffer 2006). Students also created more in-depth concept maps than in the pre-test analysis and used the professional lingo of their stakeholders that was developed as a side-effect. Through the game, students not only learned about xenotransplantation and how it works, but they evaluated the ethics, implications, and consequences of implementing it. Modern technology has made it possible for players to experience the impossible through games. Whether they are watching their creations evolve in Spore or investigating a boneyard on a foreign planet in Martian Boneyards, games “enable learners to see and interact with representations of natural phenomena that would otherwise be impossible to observe” (Honey and Hilton 2010). Through games, teachers can take their class to the moon or collaborate on what is causing an epidemic in fictional River City. In River City, students work together to “conduct their scientific investigations in a virtual historical town—populated by themselves, digitized historical artifacts, and computer agents—in order to detect and decipher a pattern of illness that is sweeping through the virtual community” (Ketelhut 2007). While the class could simply read about how an epidemic spreads in a textbook or see a few diagrams, games let students experience it and actively seek out the information themselves, encouraging students to use problem-solving and scientific inquiry skills. Games allow students to immerse themselves in a concept without a linear, constricted approach. 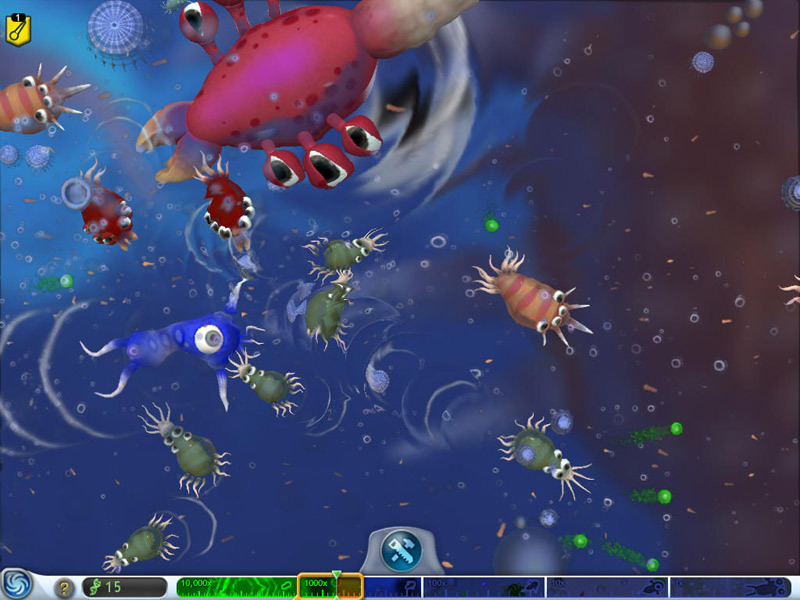 Above: The beginning stages of evolution in the game Spore by Maxis. As mentioned before, the meta-game may be where the learning actually occurs, whether it is through a forum, fan-site, discussion board, or a physical gaming community. Many players compare strategies, ask for help, give advice, share modifications (mods) they have made for a game, or even produce videos or artwork based on the game. Game developers often provide smart tools for players to develop mods to either improve or tweak the game design and graphics. Kurt Squire explains that these mods represent “design literacy,” a term coined by the New London Group as an important 21st century skill. During design literacy, a player decides “what message he wants to convey through the mod and how to work within the modding tool’s constraints, and then reflects back on how it will be received by the players” (Squire 2011). While the game might teach the player certain skills or information, the meta-game is where the student can perform in-depth thinking and engage in collaboration. For example, while Civilization in itself is a masterpiece requiring careful strategy, the most impressive part of the game is actually the meta-game. One of the most popular Civilization communities is Apolyton. I encourage you to browse the forum because you will never feel the same way about gamers. In Apolyton University, they have courses, boot camp for newcomers, and even simulations and mods about how WWIII would occur and be carried out. The purpose is not to win the game in Apolyton University, but to share as much information as possible whether their strategy was a success or failure. Members ask questions and admit their struggles (Squire 2011). Games can also prepare students for the technology they will be using in future STEM careers. Many games indirectly assist in computer or mobile technology literacy. For example, “the MIT TEP [Teacher Education Program] has been building simulations on handheld computers that involve K-12 students in authentic activities such as large scale environmental engineering investigations, genetic data collection and analysis and epidemiological studies that track the progression of disease through population” (Klopfer 2005). Feeling comfortable with technology is crucial for students in the 21st century and essential for technology-heavy fields like computer science, engineering, and science. Augmented reality games that use handheld devices allow students to experiment with technology while being immersed in a subject. Students can learn how to research and compile data while establishing a comfort, respect, and understanding for technology. 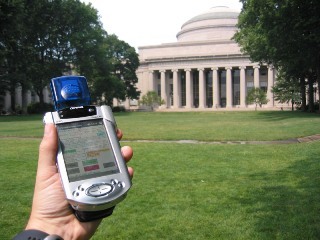 MIT’s Environmental Detectives had “students role-play environmental scientists, investigating a rash of health concerns on campus linked to the release of toxins in the water supply” and were given handheld devices, which teams then used to “compile their data using peer-to-peer communication and synthesize their findings” (Klopfer 2005). Building games can also improve technology literacy. Under the Educate to Innovate movement, the National STEM Video Game Challenge encourages students to create games of their own based around STEM concepts. In the 2011 competition, students used basic programming tools like Scratch, Gamemaker, and Kodu to create games that challenge other students to navigate a maze using multiplication, learn about recycling, or understand Darwin’s finches. Creating games allow students to actively participate in their learning and become producers of knowledge. Students can express their creativity while teaching concepts which facilitates their own reflection and deeper understanding of a subject. Creating games also prepares students who may pursue computer science, information technology or another career in technology (Klopfer et al. 2005).